Blogging Mom of 4 • Blogging, Homeschooling Mother of 4. Juggling it all. This instant pot creamy ham bone soup is so easy to make and delicious. It’s hearty and can be customized to your family. This easy dessert just screams spring and summer to me. There’s nothing better than fresh fruits and berries. And if that wasn’t enough to tempt you, the simplicity of this recipe sure will. Until March 6th, Best Buy has an amazing deal for us busy bees. 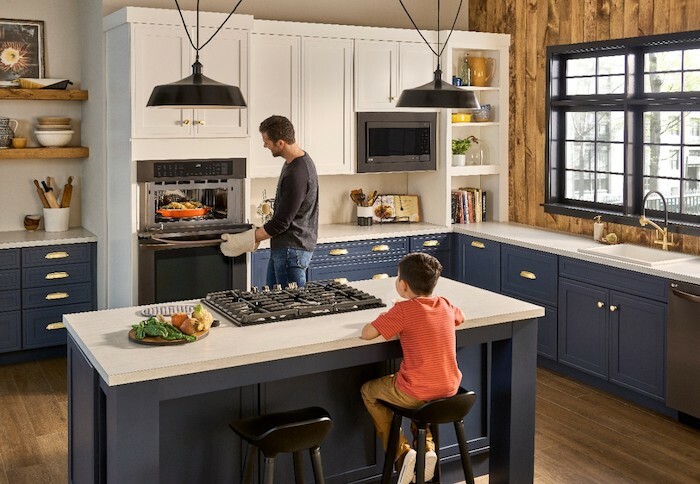 You’ll save $500 with the purchase of a 5-piece LG Kitchen Package! Is it time to get dad a new shaver? Father’s Day is not far away. The latest, best shaver ever from Philips Norelco would be the perfect gift. It’s the first of its kind with a Qi charging base for wireless charging. I’m always on the look out for great protein rich snacks. Something that I can just grab and go. These homemade granola bars recipe is one that I actually found while on the Paleo diet. Next up in our interviews is none other than Joss Whedon. You know.. the incredible Director and Writer. The creative genius behind Buffy The Vampire Slayer, Firefly, Serenity, The Avengers.. just to name a few!